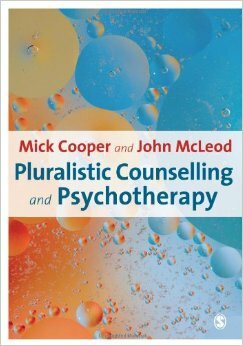 "The Pluralistic Approach starts from the assumption that different things are likely to help different people at different points in time, such that it is meaningless to argue over which is the ‘best’ way of practising therapy, per se. It can be summed up as a ‘both/and’ standpoint – that C.B.T. can be helpful, and person-centered therapy can be helpful, and psychodynamic therapy can be helpful – in contrast to an ‘either / or’ one. (2) If we want to know what is most likely to help clients, we should talk to them about it."